Speakers’ Corner was established in the eastern end of The Domain near the Art Gallery of NSW in 1878. 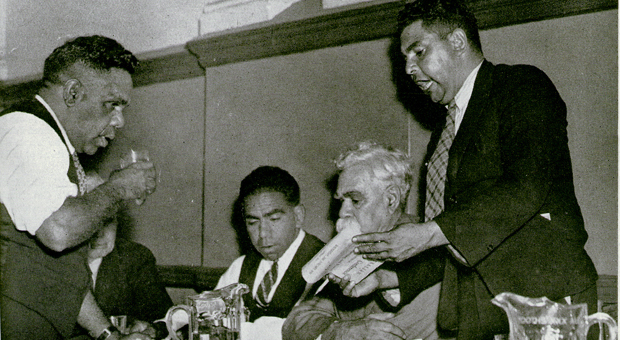 Aboriginal speakers were active there from the late 1930s, including civil rights campaigners such as Jack Patten, Tom Foster, Pearl Gibbs and William (Bill) Ferguson. Bill Ferguson and Michael Sawtell had arranged to go down to the Domain and I tagged along with them. 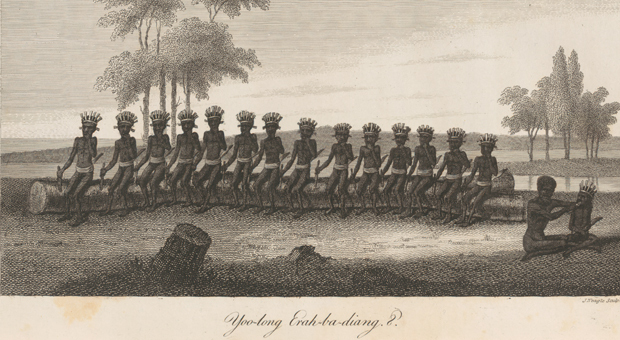 They had a ladder [about three feet high] so they got up on their ladder and they spoke…Naturally it was about the Aborigine. There were very few people around us. There was a big political speaker [C.P.A.] about a hundred yards away or more from us and we might have had only five or six people around us. And then I got up on the ladder. I got up there and I shook and I shivered and the ladder was rocking and the reason was because of all this hatred and resentment I’d had…I was so fighting mad, I didn’t know what to say first because there were so many things…and all this hatred. I couldn’t talk. They had to get me down on the ground and then I started! You think my voice is loud now but it’s nothing to what it was. And the people came — a woman was a sort of novelty speaker then and so the crowds came. And that was my first experience at public speaking. 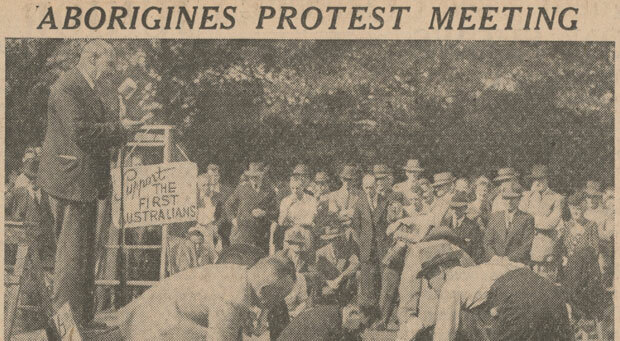 Bill Ferguson also spoke as a representative of the Aborigines Progressive Association at a May Day workers rally elsewhere in The Domain in 1938. He was one of only around 10 speakers to address the crowd of 10,000. A decade later in 1949 he also spoke at an Aboriginal protest meeting at The Domain together with Bill Onus. In the 1980s and 1990s, an Aboriginal man named Donny Dodd was a regular speaker in The Domain. According to the Speakers’ Corner history website, Donny grew up on Palm Island near Townsville in North Queensland. He moved to Sydney in the 1960s as a dock worker and learnt Aboriginal politics from Aboriginal women he met. 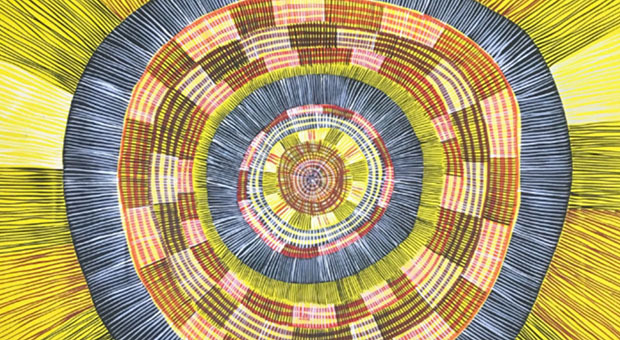 As quoted on the website: ‘In his stint in The Domain he would unfold his banner proclaiming “Aboriginality”. On mounting the platform he shouted to attract an audience, and with the loudest voice in The Domain he quickly attracted one. He spoke every Sunday’. Donny Dodd passed away in late 2018.